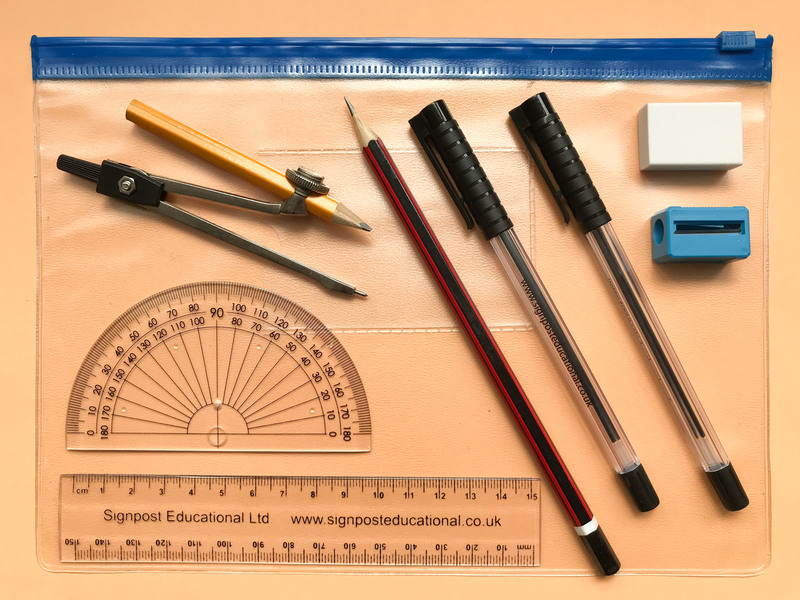 Contents: metal compass with 1/2 length pencil, two quality ballpens (black ink) one HB pencil, eraser, sharpener, 15 cm ruler, 180 degree protractor. Contained in a clear plastic, exam friendly zip up wallet. Suitable for use in exams and lessons. Current stocks of wallets have a clear zip slider rather than blue as shown above.